For more than thirty years, Kiddie Academy has led the way in educational child care in the United States. Using specially designed learning curriculums, teachers in more than 150 academies nationwide prepare infants, toddlers, and young children to read, write, use technology, and interact at levels meeting or exceeding state standards. Links to a Kiddie Academy application appear below. 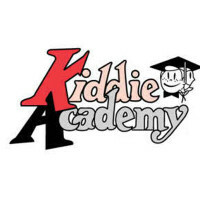 Founded by George and Pauline Miller in 1981, Kiddie Academy quickly branched out from its humble beginnings in Baltimore County, Maryland. The next decade saw ten new academies open across the state, a curriculum strengthened by one substantive revision, and the first appearance of corporate training manuals. In 1994, the first franchised academy opened in Elkton, Maryland. The curriculum was revised a third time in 1995, and in 2001 the nearly 7,000 pages of lessons and activities for children had received a U.S. copyright. By then, franchise academies had been opened outside of Maryland. With the additions of an interactive website, intranet, and Camp Adventure and Storytime Live!, Kiddie Academy established itself at the forefront of modern technological and community-minded education by 2011. Due to industry growth expected at 14% over the next seven years, this provider will be hiring qualified, career-minded individuals. Its success as a franchise is also well-known. If you would like to start your own franchise, information about this, along with a printable application form, is available on the website. You’ll also find below a link to a YouTube video showing several franchisee testimonials. Many locations offer job opportunities to caring, responsible individuals who have completed degrees in education. Lead and other Teachers average $11.00/hr and report an average annual salary of $25,000. Assistant Directors earn upwards of $12.00/hr. Benefits include paid holidays and vacations, stipends for continuing education, uniforms, and childcare assistance. Find academies in your area through the website’s Locations page to make a direct application to these jobs. Assistant Teachers make between $9 and $11/hr and an average annual salary of $17,000. These positions present a great entry-level job opportunity for individuals with a few months’ experience in childcare or who are working toward degrees in early childhood education or a related field. Download application form and submit your resume to the academy in your area after locating the academy online. Other Kiddie Academy jobs include Kitchen Manager and Human Resources manager. These are ideal areas of employment for individuals without direct experience in childcare industries to gain a foothold in the field. Apply online. Corporate positions are also available for individuals with strong resumes in infant or early childhood education or daycare directorship. An online application for corporate jobs can be inquired about through the Kiddie Academy Careers page on the company website. Simply access the website to request free application information and an application form. How old do you have to be to work at Kiddie Academy? You must be eighteen or older. Most locations seek individuals who meet state-mandated requirements for childcare industry employment. While some states require some college, others require just a high-school diploma. Having education and experience can lead to higher-paying jobs. Be sure to check your state’s requirements for working in childcare before applying for Kiddie Academy jobs online. Assistant Director – Assistant Directors aid the Direct in ensuring a smooth operation of each academy. In a given day, the assistant director may oversee a marketing campaign to promote enrollment, review budget documents, assist in overseeing routine facility maintenance, and administer various programs to the academy pupils. Lead Teacher – Lead Teachers develop and implement lessons, ensure organization in the classroom, collaborate with department heads, complete all necessary paperwork, and counsel children. Most importantly, they guide the efforts of other teachers and assistants in the classroom and interact with current and prospective parents. They typically make between $9 and $15/hr, slightly above the national average for childcare workers. Infant / Toddler Teacher – These teachers are usually certified to teach preschool and kindergarten, and can develop age-specific lessons in reading, math, and technology as well as character-building to help improve toddlers’ social skills. Responsibilities include documenting procedures, organizing classrooms, and implementing lessons. Working with younger children ages 6 months through three years means changing the occasional dirty diaper. Teacher Assistant – Assistant Teachers gain valuable entry-level experience in a childcare classroom by assisting teachers in carrying out their duties. Teacher Assistants may work more closely with individual children while a teacher conducts the entire class, and may also help in the creation of lesson plans and the carrying-out of activities. Professional development opportunities such as conference attendance are usually extended to teacher assistants. Support Staff – Support staff responsibilities include Substitute Teacher, Kitchen Manager, Bus Driver, and School Age Group Leaders. These positions perform essential roles such as filling in for or assisting classroom teachers in implementing lessons and programs, preparing lunch and snacks for children and staff, and operating bussing for children. Individuals getting started in childcare or looking to work while completing a degree should apply online. These are some questions you’re likely to be asked when applying. Can you describe your previous classroom experiences? You’ll be asked this when applying for a teaching position. Always discuss specific positive experiences where you played a major role engaging the children or helping others promote positive learning environments. Talk about yourself as someone who made an impact in previous classrooms, with teammates and children. What are some examples of age-specific lessons you’ve developed? This is another question you’ll be asked when applying for teaching positions. Choose specific lessons relevant to the area or position you’re applying for. Talk about how you planned the lesson, the lesson’s goals, and how well the lesson worked to get children learning. What motivates you to want to work with and teach toddlers and younger children? Individuals applying for teaching assistant jobs and support staff positions should expect this question. Researching the company’s curriculum and familiarizing itself with its family-centered values can help you prepare to answer this question positively, and emphasizing any previous childcare experiences is recommended. What qualities do you possess that make you a good fit for Kiddie Academy? Kiddie Academy wants to be hiring organized, collaborative, positive-minded people who are excellent communicators in writing and speech. Emphasize past team work experience and demonstrate through strong answers to other questions how well you communicate. Why do you want to work for Kiddie Academy? You should reference the company culture, its benefits, and especially its position as an industry leader in childcare. You want a career with growth potential, and Kiddie Academy offers you the chance to progress. Because Kiddie Academy is a franchise business, this means each of its locations is privately owned. How to apply for Kiddie Academy online involves submitting a printable Kiddie Academy application along with your resume, and cover letter directly to the local academy you would like to work for. By doing so, you set yourself apart from the average applicant and make a strong first impression. When you apply for jobs at Kiddie Academy, the best way to prepare a solid resume and cover letter is to research not only the company background but the desired position and location of choice. The Careers page on the website will link you to each academy’s own site, where you’ll find staff information, applications, and videos and blogs about the teachings and the community. After submitting your printable application for Kiddie Academy, begin preparing for the interview. Prospective directors and teachers should dress in classroom-appropriate tops and skirts, dress shirts, ties, or other semi-formal clothing. Business-casual clothing often serves assistant teacher and support staff job seekers appropriately. Bring to the interview any teaching materials that might help you demonstrate teaching abilities. Choose a story to tell about your previous experiences that demonstrates the collaborative, energetic, and positive-minded qualities. Demonstrate your enthusiasm and desire to work by asking questions fueled by your research about the localcommunity, opportunities for on-the-job training, and specific programs offering by the academy for its families. Rarely will applicants be awarded the job on the spot. Make sure you get information about when to contact the academy to find out about the status of your application. And always follow up with a Thank-you email as soon after the interview as possible. OnTrac: For career opportunities, fill out the OnTrac online application. ServiceMaster: For career opportunities, fill out the ServiceMaster online application. Caterpillar: For career opportunities, fill out the Caterpillar online application. Palm Beach Tan: Visit the job application for Palm Beach Tan to apply today. Kindercare: See our resource page for more information on Kindercare careers.